Strategically, ERShub activities are grounded on four pillars: ERS Research, ERS Internal, ERS Outreach, ERS Teaching. The RIOT acronym of this structure means to give expressly a sense of overturning of the “business as usual” attitude, a revolution that ERSHub is willing to represent by promoting best practices, choices and new business scenarios. The Faculty involved in the Facilitation Team of ERShub develops research about organizations trying to merge the economic dimension with concerns and actions related to social impact and environmental footprint, applying an organizational and strategic angle. Hybrid organizations are the main unit of analysis, and social enterprises constitute the main context for empirical investigation. networks of differentiated partners, focusing on the links between for-profit and no-profit organizations, with our economies and societies, where hybrid organizations seem to emerge as new crucial actors tacking on wider social and environmental matters remained unresolved over decades by other mechanisms. Around this hub there are other studies aimed at capturing other strategic and organizational aspects of ERS, such as business modeling and governance structures for hybrid organizations, misconduct of corporations (specifically, against IPR), Supportive Buy Groups of consumers, and finally the Pragmatic Ethical Reasoning, a managerial approach that focuses on the mechanisms in which organizations adapt their standards and disciplinary codes to the main context (for instance, in information security). This latter effort is framed up in the wider scope of the Center on Leadership, Innovation and Organization (CLIO). The “Governance and Sustainability” Research Center is an inter-university center established between LUISS Guido Carli University and the University of Siena. The main purpose of the center is to study and to deepen issues related to Corporate Governance, Corporate Social Responsibility and Corporate Reporting. contribute to the grant of financial contributions to young scholars for research projects in the areas of Corporate Governance, Corporate Social Responsibility and Corporate Reporting. The Marketing group investigates how consumers approach companies’ initiatives in the realm of CSR and sustainability. It has lead several projects resulting in different research outputs, such as books, chapters, academic papers and conference proceedings. Two are core issues: one is understanding how to communicate sustainability-related initiatives. In this respect, the group studied whether highlighting the positive benefits of buying environmental sustainable products generates better effects than highlighting the negative outputs of buying a non-sustainable environment. The other theme focuses on how sustainability is perceived in the context of luxury goods. The starting idea tests if the diffused approach that sees luxury and sustainability as very different, often conflicting, concepts is actually true or not. Indeed, luxury goods have some features (durability, limited production, preservation of artisanal skills, etc.) that make them more sustainable in nature than many might think. A special attention has been reserved to corporate social irresponsibility and to its effects – in social, ethical and environmental terms – on consumers’ responses toward the companies involved in wrongdoings. Finally, recent research focuses on food waste, both domestic and associated to product imperfections. Also in this case the focus is on consumers’ perceptions, attitudes, intentions and practices. Research on Social Innovation is centered around CeRIIS, the International Center put into this topic. 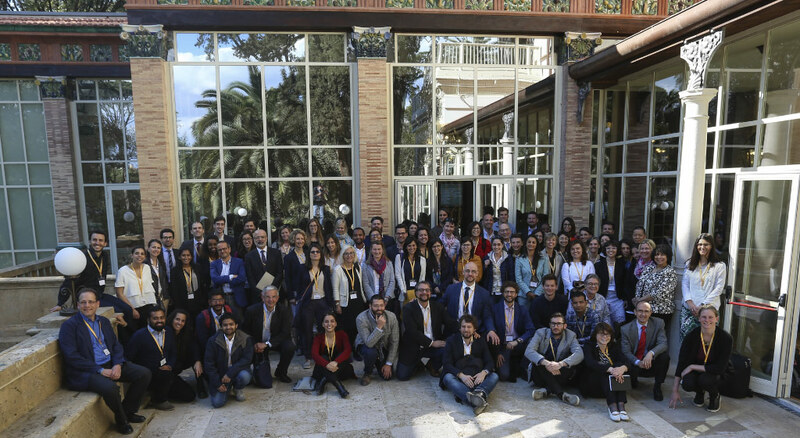 The Center has been founded by LUISS and ItaliaCamp in 2013. Its mission is to study the phenomenon of social innovation, to develop conceptual models useful for its effective implementation, to promote experimentation and to foster collaboration between all the stakeholders involved in social innovative processes. The CeRIIS also elaborates projects about social innovation and sustainable development on behalf of institutions, corporations and non-profit organizations, supporting them for fulfilling appropriate activities in order to pursue sustainability policies. 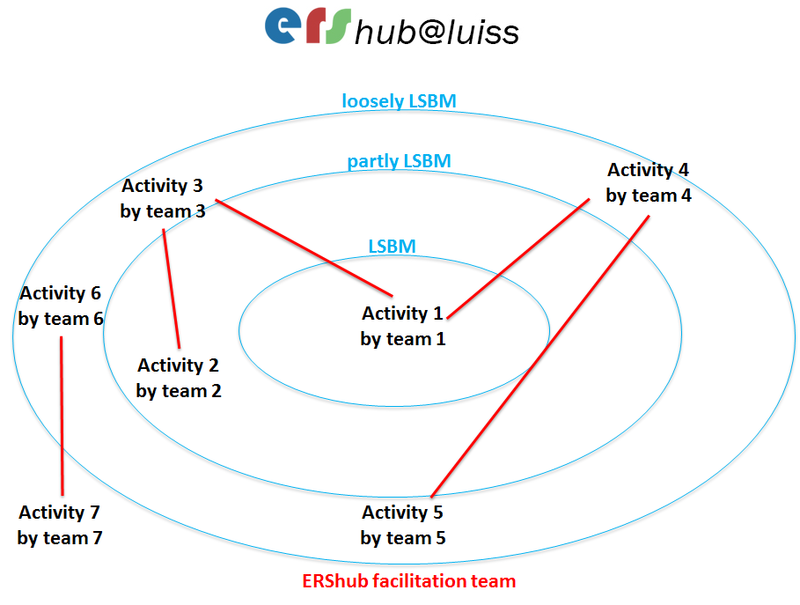 On the Internal Side, ERSHub activities are constantly developing. Driven by Facilitation Team or simply collected from the same, a range of initiatives are lead due to the need to bring concretely forward the living and the spreading of those ethical principles whose references are in the Home Page. The starting points are debates and periodical meetings organized at the aim of creating a discussion space and a comparison between projects and intuitions. These ERS meetings are useful for highlighting ERS activities, and for sensitizing internal and external stakeholders, establishing a reference point on how such activities must be carried out. All organizers leading ERS activities in their job are invited to join ERSHub. In this way, the Hub acts as a link, a connection point, a glue of an overall spread network, which is active in a group of initiatives ranging from teaching to research, from administration to responsibility towards community, and so on. For this purpose have been concretized many internal interviews in order to identify weakness and strength points, as well as commitment towards ERS themes. The Facilitation theme works contemporarily as a connector and a propulsion with the aim to promote knowledge-spreading, to discuss best practices and to encourage sharing towards a common commitment. For this reason ERSHub is a horizontal network, made of actors and actions dealing with ERS: the main objective is to create reciprocal connections, tank to them generating new projects. Debate and mutual relationship are the main instruments for involving academic team and staff. Every time it is shared a group of identity items, these become the focal commitment points for the whole network. ERShub focuses on developing connections with large corporate, social entrepreneurs, and NGOs promoting these values. Social entrepreneurs are particularly fundamental for ERShub strategy, due to the fact they are change-makers who couple business activities with ERS and try to involve others to generate new links and networks, exchange knowledge, promote change, and finally achieve new solutions. They represent the carrier of the bottom-up approach ERShub embraces. In this vein, ERShub has created a direct dialog with social enterprises (such as Made in Carcere) and also network and incubators supporting them, such as ImpactHub and Ashoka (ERShub is in Ashoka’s Venture Board) . Connect: Create links and networks with external players that can impact on the business strategy and its operations. Entrepreneurship: Transform ideas and insights into business ideas and plans, supported by faculty and key market players. Change-making: Use unconventional skills and competencies to remodel and reshape business, drive organizational transformation, and empower people at all organizational levels. Leverage skills and competencies taught in courses on cultural diversity, team building, and problem – solving in order to educate and prepare future management graduates. Social impact: Empower students to embed a social perspective into business practices, leveraging their “can-do” attitude and willingness to make things happen while also taking ethics into account. Also, the University acknowledges that leadership is the ability to be followed, and becoming an example is the best way for achieving it. Such a behavior in turn propagates ethical principles in the organization, thus increasing the ease of interaction, trust, cohesion and hence organizational performance. Similarly, when stakeholder management is at stake, inevitably one must talk about responsibility, otherwise accountability becomes impossible. Learning what responsibility is means learning how to build long-lasting partnerships, trust and collaboration. Only trust is the way to create networks and projects transcending individual company boundaries, generating larger returns. Finally, the same long-term perspective is needed for improving operations, wisely managing the resources in need to be reproduced in order to assure a corporate survival. Understanding how to act in a sustainable way within one’s communities and in the society at large is therefore instrumental to acquire this time horizon, to create growth founded on a solid basis that can resist to sudden crisis. All terms contained in ERS are clearly related to an inner dialog among organizations, and in the larger context of ‘community’ and ‘society’. ERShub dialog with key actors in the field applies this perspective and becomes real thanks to several partnerships with NGOs, institutions and social enterprises. Through several specially created ERSLab in a constant renewal, students are able to discover their hidden attitudes concerning Ethics, Responsibility and Sustainability issues, obtaining a sense of awareness, in addition to environmental and social responsibility. These Labs are meant in order to allow students a particular immersion in real contexts and problems, aiming at touching concrete matters, and realizing where and how ERS Themes might impact managerial dynamics, identifying challenges and chances that could appear in their future careers. Concepts and activities raising from these activities are delved into Teaching page. [link].